Furneaux was born at Swilly House near Stoke Damerel, Plymouth Dock, son of William Furneaux (1696-1748) of Swilly, and Susanna Wilcocks (1698-1775). He entered the Royal Navy and was employed on the French and African coasts and in the West Indies during the latter part of the Seven Years' War (1760–1763). 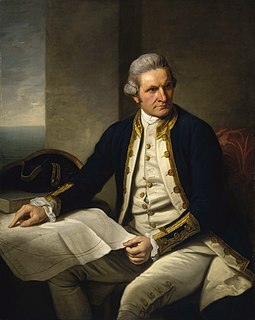 He served as second lieutenant of HMS Dolphin under Captain Samuel Wallis on the latter's voyage round the globe (August 1766 – May 1768) and due to Wallis being ill and confined to his cabin, Furneaux was the first to set foot on Tahiti, hoisting a pennant, turning a turf, and taking possession of the land in the name of His Majesty (25 June 1767). In November 1771, Furneaux was given command of HMS Adventure, which accompanied James Cook (in Resolution) on his second voyage. On this expedition Furneaux was twice separated from his leader (8 February 1773 to 19 May 1773; and 22 October 1773 to 14 July 1774, the date of his return to England). On the former occasion he explored a great part of the south and east coasts of Van Diemen's Land (now Tasmania), and made the earliest British chart of the same. Most of his names here survive; Cook, visiting the shore-line on his third voyage, confirmed Furneaux's account and delineation of it, with certain minor criticisms and emendations, and named after him the Furneaux Group at the eastern entrance to Bass Strait, and the group now known as the Low Archipelago. After Adventure was finally separated from Resolution off New Zealand in October 1773, Furneaux returned home alone, bringing with him Omai of Ulaietea (Raiatea). This first South Sea Islander to travel to Great Britain returned to Tahiti with Cook on 12 August 1777. Furneaux was made a navigator in 1775. During the American Revolutionary War, he commanded HMS Syren in the British attack of 28 June 1776 upon Charleston, South Carolina. Syren, with Furneaux in command, was wrecked near Point Judith, Rhode Island on 6 November 1777. [Note 1] The Rhode Island Marine Archaeology Project (RIMAP) has published a detailed history of the Syren's activities in the American Revolution, as well as some of the original documents related to her loss, confirming 6 November as the correct date. By 10 November Furneaux and his crew were prisoners in Providence, Rhode Island, awaiting later exchange. RIMAP has also noted that the Syren is one of at least five ships associated with Captain Cook and his circumnavigating men with an historical connection to the State of Rhode Island. Furneaux died unmarried in 1781 and was buried in Stoke Damerel Church where he had been christened. ^ Some sources have 10 November, but the court martial records and other official documents show 6 November. ^ Salmond, Anne (2010). Aphrodite's Island. Berkeley: University of California Press. pp. 385, 419. ISBN 9780520261143. Marx, Robert F. (1 December 1987). Shipwrecks in the Americas. Courier Dover Publications. ISBN 978-0-486-25514-9. Retrieved 16 October 2011. Winfield, Rif (2007). British Warships in the Age of Sail, 1714 to 1792. Seaforth Publishing. ISBN 9781844157006. This article incorporates text from a publication now in the public domain: Chisholm, Hugh, ed. (1911). "Furneaux, Tobias" . Encyclopædia Britannica (11th ed.). Cambridge University Press. Stoke, also referred to by its earlier name of Stoke Damerel, is a parish, that was once part of the historical Devonport, England; this was prior to 1914. In 1914, Devonport and Plymouth amalgamated with Stonehouse: the new town took the name of Plymouth. Since the amalgamation Stoke has been an inner suburb of Plymouth in the English county of Devon. The Friars are four steep dolerite rocks, with a combined area of about 17 ha, in south-eastern Australia. They are part of the Actaeon Island Group, lying close to the south-eastern coast of Tasmania, at the southern entrance to the D'Entrecasteaux Channel between Bruny Island and the mainland. They form part of South Bruny National Park. HMS Siren was a 28-gun Enterprise-class sixth-rate frigate of the Royal Navy. Siren was first commissioned in August 1775 under the command of Captain Tobias Furneaux, her only commanding officer.